Rally Obedience is sweeping the country like a storm. A quick look at the obedience results shows the phenomenal number of qualifying dogs in Rally. A closer look reveals the immense variety of breeds who compete successfully. Many of these breeds are seldom – if ever – seen in competitive/traditional obedience events. Combining the unlimited variety of patterns of Rally-O courses, a larger variety of exercises or movements, the more natural manner of handling, and communication with the dog during a competition, it is no surprise at the quick growth of this obedience competition. Add in the fact that more dogs/hour can be judged in Rally-O than competitive obedience, Rally-O has proven to be a good source of income for trial giving clubs. 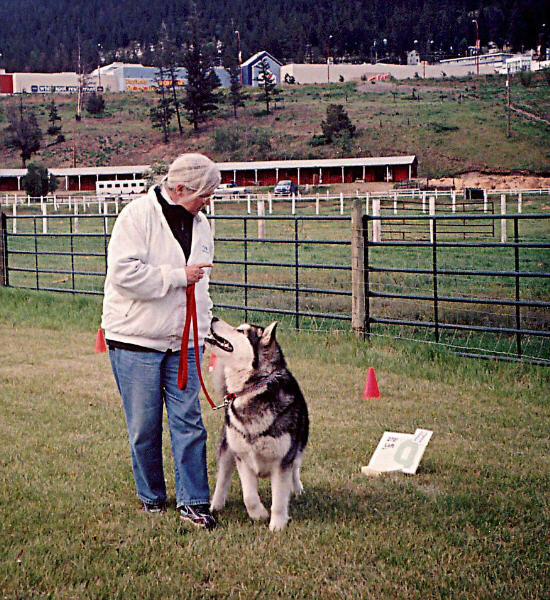 The biggest differences in the manner of competition between Rally-O and competitive obedience are the lack of group exercises and how the handlers can cue, relate to, and praise her dog during and after judging. Rally-O was specifically created to be more natural in the way the handler and dog communicate. Hand signals, body language cues, and any amount of verbal cues are used. In fact, talking to and encouraging one’s dog during a “run” is encouraged! At the Novice level of Rally-O, the dog is always on a lead. It is during the more advanced classes that the dogs work without a lead (excepting the honor exercises) and have more challenging exercises added to the basic list.